Year 4 had a very creative morning on Wednesday. 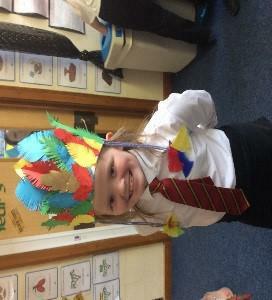 We designed and constructed our own Native American Indian headdress and dreamcatcher. This links with our ‘Road Trip USA’ topic and our English text ‘Indian in the Cupboard’. We took our inspiration from images of the Iroquois tribe which is where Little Bear/Bull is from in the book. 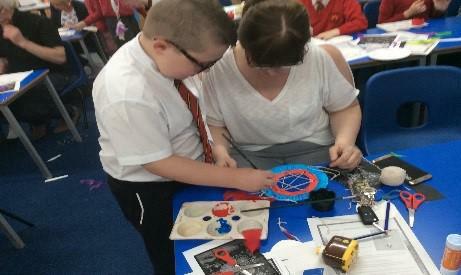 All of the visitors and children really did a great job and their creations were very colourful, detailed and individual. You can see our results on our classroom displays. 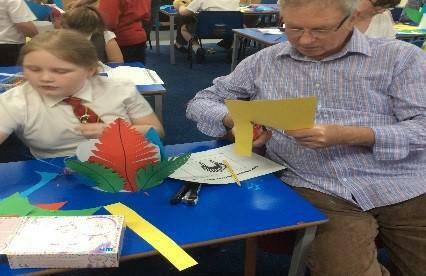 Thank you so much to all of the parents and grandparents who attended and for your very positive feedback.